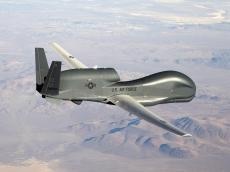 At least four militants of Islamic State (IS) outfit were killed after unmanned plane of the US and NATO-led coalition forces struck an IS position in Afghanistan's eastern province of Nangarhar overnight, Xinhua reported citing authorities. The provincial government said in a statement that the airstrike was launched in Banndar area of Achin district Saturday night and no civilian was wounded following the sortie. The district is the stronghold of IS militants in the province, 120 km east of Kabul. In April, 2017, the US forces in Afghanistan struck an IS cave complex by the largest non-nuclear bomb in the mountainous Achin, killing nearly 100 IS militants and destroying a militants' hideout together with several bunkers and tunnels. The IS militant group has yet to make comments on the report.